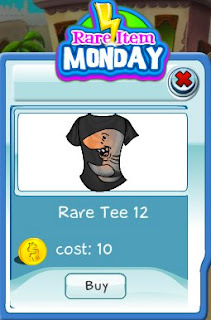 Rare Tee 12 is now available for your collection. This tee has a nice smiling shark, but don't be fooled it's a man eating great white. :) It's only available today, so act now before it's gone!